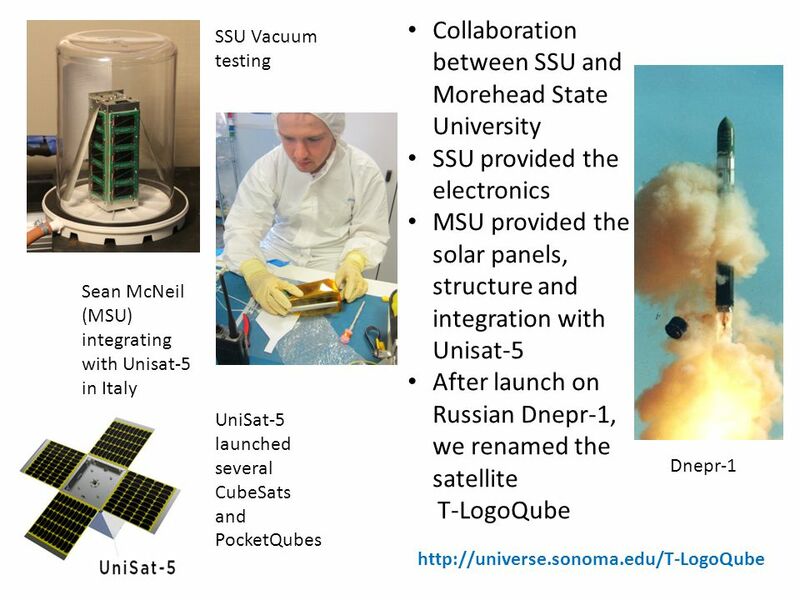 Prof. Lynn Cominsky SSU Education/Public Outreach and Department of Physics & Astronomy This work has been supported by NASA Grant NNX12AB97G and California. 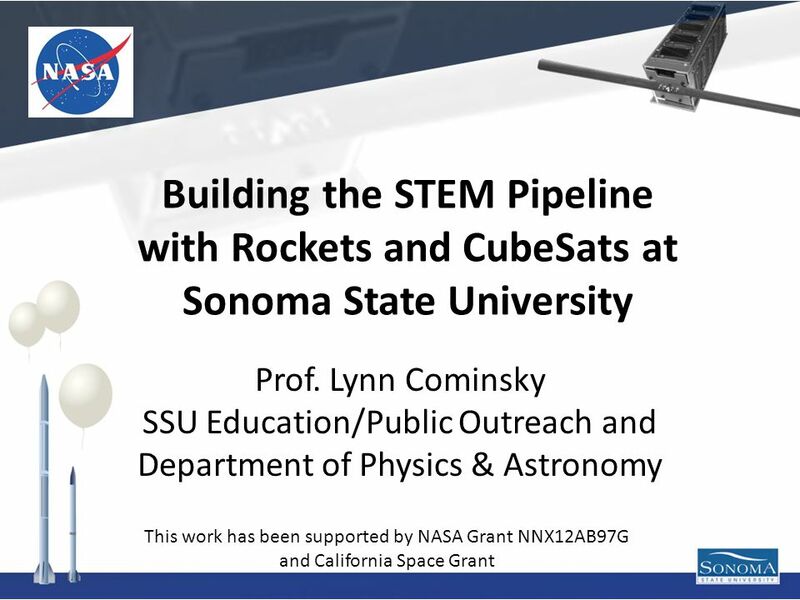 Download ppt "Prof. Lynn Cominsky SSU Education/Public Outreach and Department of Physics & Astronomy This work has been supported by NASA Grant NNX12AB97G and California." 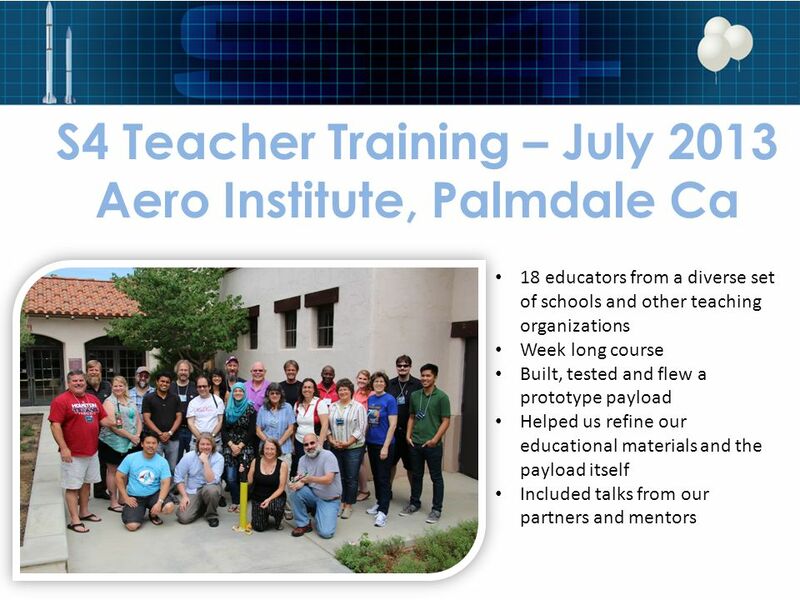 The Aurora Project The Community College Component of the CalTeach Science and Mathematics Initiative A Collaboration Among UC, CSU, and CA Community Colleges. THE E.O.P. ACADEMY Increasing retention for low- income, first generation students. UMBC NASA’s BEST Students B eginning E ngineering, S cience and T echnology ESMD Project Managers Meeting Kennedy. G.A.U.S.S. 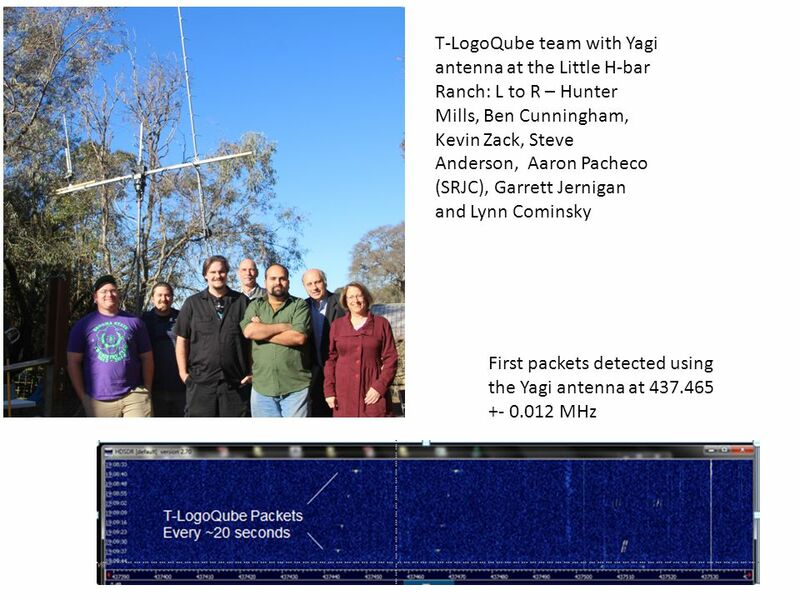 Srl - Preliminary Results of UNISAT-6 1. 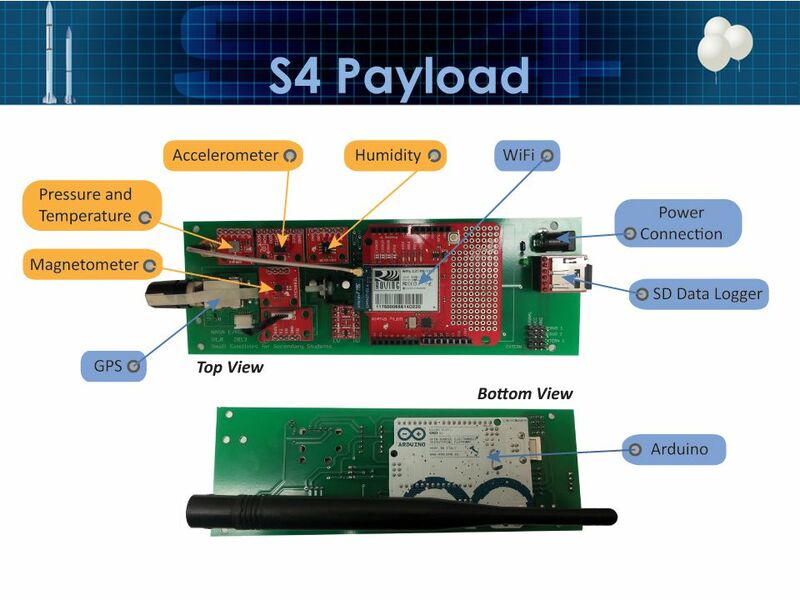 FluxDemon FluxDemonSat Fluxgate Magnetometer Core Technology Demonstrator Feasibility Review Student Design Team: Farita Tasnim, Shivani Upadhayay, Jinny. Stephen Horan New Mexico State University. 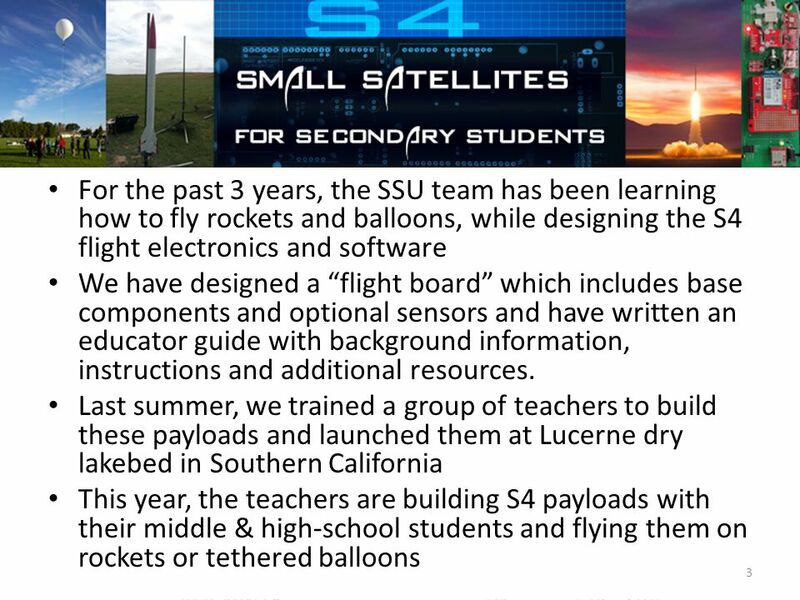 Topics Background Program Vision Differences with HASP Next Steps 9/25/20082BalloonSats.  Zachary Huffaker, Brian Plank, Audrey Dearien Faculty Sponsor: Dr. Will Holmes. 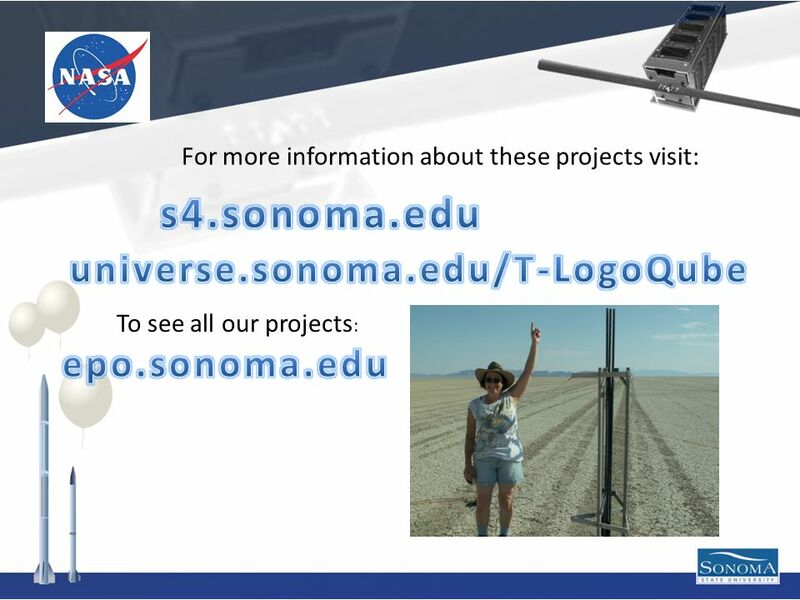 Bringing Real-time Astronomical Observations into the Classroom Prof. Lynn Cominsky Sonoma State University Department of Physics and Astronomy and NASA. 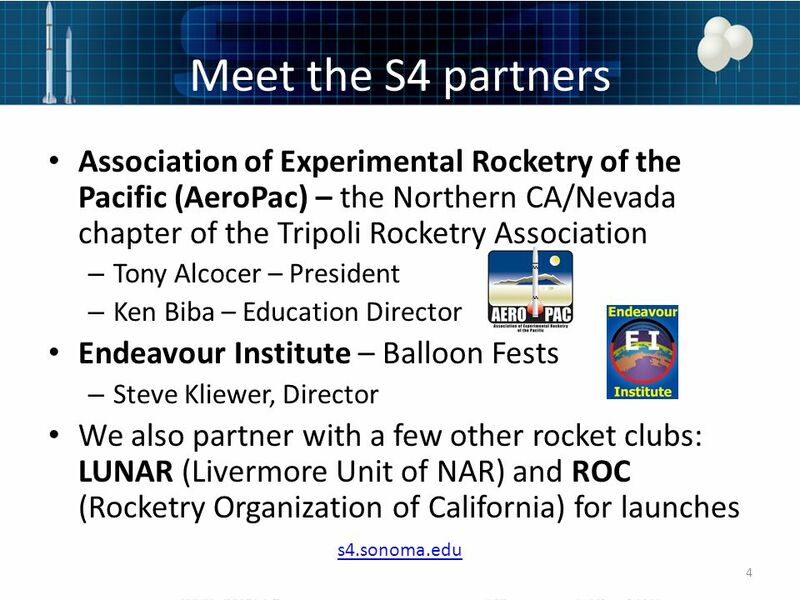 NASA Internships and Other Educational Opportunities Kevin Newman and Kyle Stephens February 16, 2011 Space Grant Brown Bag Lunch. ND Space Grant Annual Affiliates Meeting Santhosh Seelan Director, ND NASA EPSCoR Director, ND Space Grant Chair, Department of Space Studies, UND Caitlin. 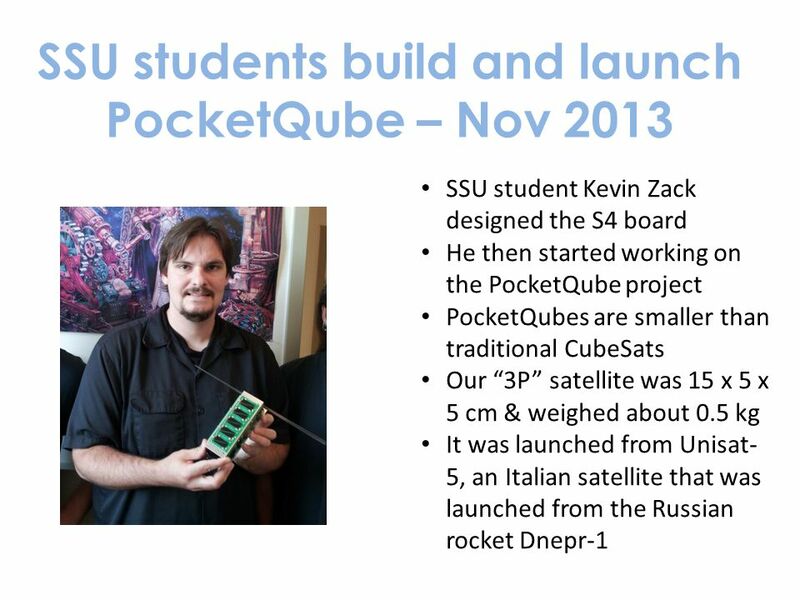 Continuing Embry- Riddle’s CubeSat Satellite Development Program Presented by Clayton G. Jacobs Embry-Riddle Aeronautical University, Prescott EagleSat. 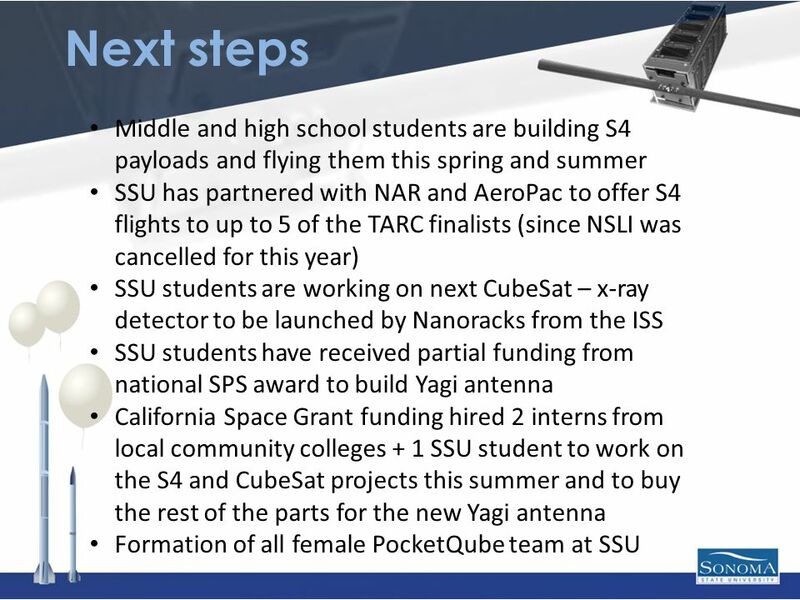 Program Management And Systems Engineering Direction Decisions of a Nanosatellite Mission Aaron Goldstein Program Manager. 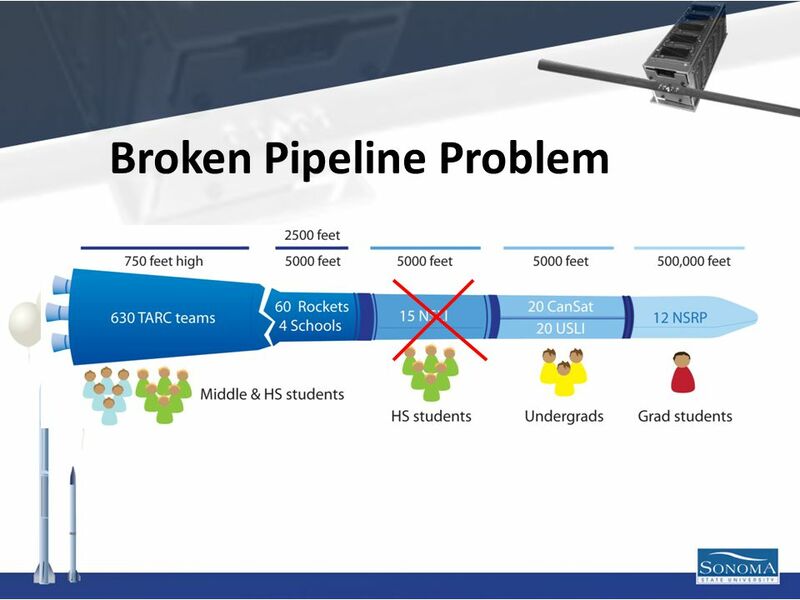 This workforce solution was funded by a grant awarded under Workforce Innovation in Regional Economic Development (WIRED) as implemented by the U.S. Department. 22/06/101 The FUNcube Project RSGB-October 2011. 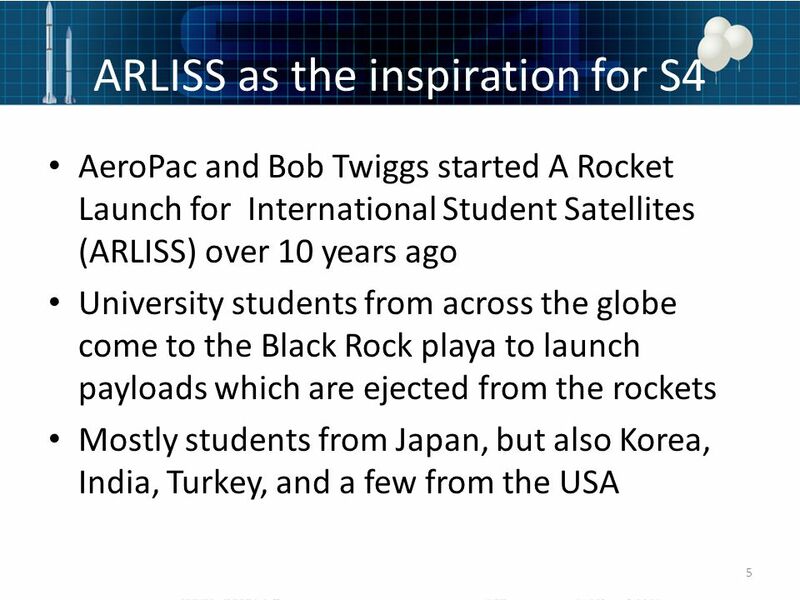 22/06/102 Introduction Background information about AMSAT and AMSAT-UK Brief history of “OSCAR” satellites.